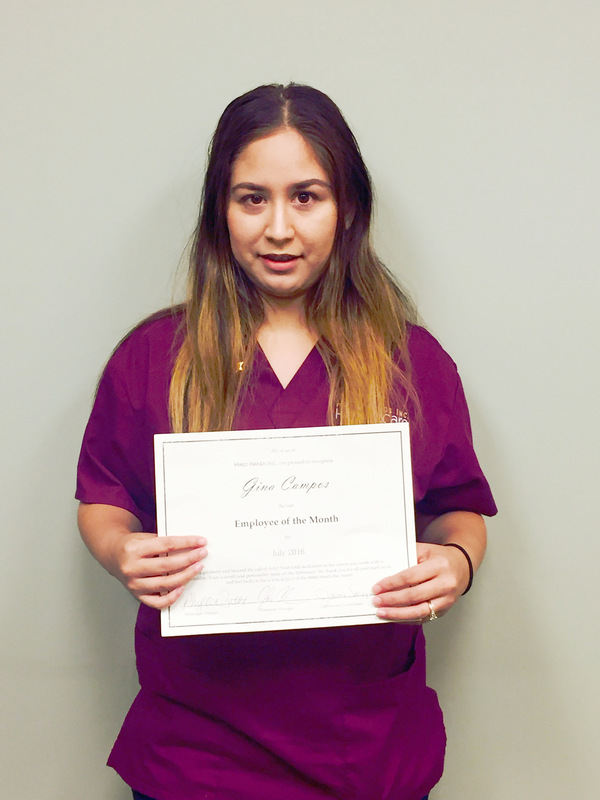 Gina is July’s Caregiver of the Month for Hired Hands Homecare – Santa Rosa! Gina began working for Hired Hands Homecare in May of 2015. She has been reliable, hard working, positive and always stays calm and centered. She is also an extremely talented Caregiver, adept at assisting with all Activities of Daily Living, along with the skills and knowledge required to work with Alzheimer’s and Dementia clients. Thank you, Gina, for being AWESOME! !